The global dental market is estimated to be worth 37 billion US dollars between 2016 and 2021, with a compounded annual growth rate of 5.6%. The market is made up of many different elements, from the dental professionals and their practices to the companies equipping the dental offices. Of most interest to you and me are those brands that are producing dental health products we can make use of at home. I am talking about products like toothbrushes, toothpaste, interdental brushes, water flossers etc. 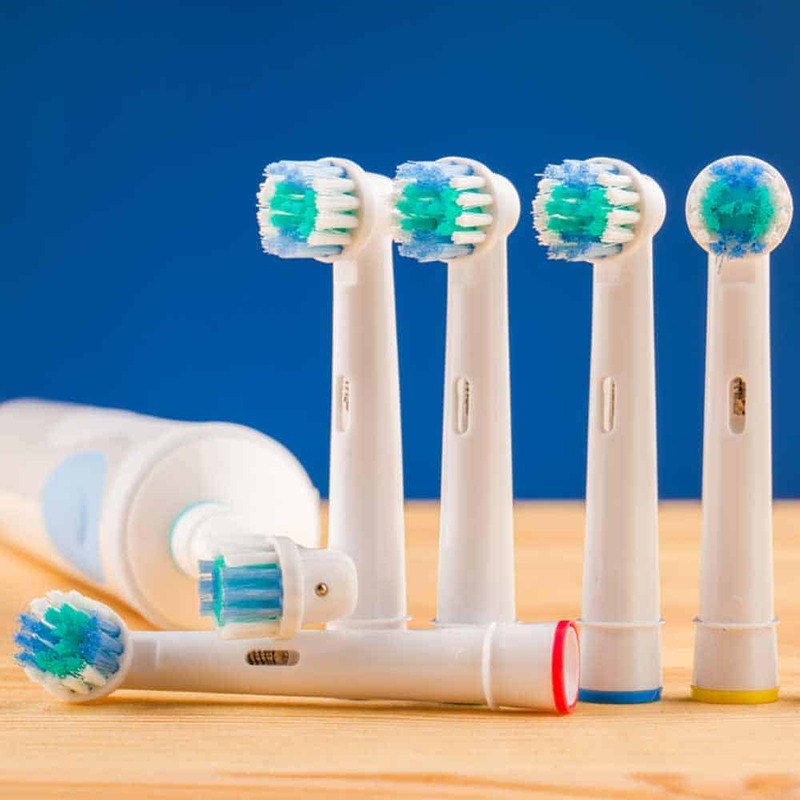 There are some well-known companies and brands within this space, Philips Sonicare, Braun Oral-B, Waterpik, Curaprox, TePe and Colgate-Palmolive to name just a few. Over recent years, there has been an increased ease with which new companies can form, source and market such products. This is perhaps no surprise as the aim of these companies is generally to get a slice of the revenue this industry generates. The end result is you and I have been given more choice, often with the benefit of more competitive prices. But, does the increased choice and lower prices really benefit us? Are we actually getting a better deal or better products? Which brands are reputable and comparable to those we know and trust? Just what companies and brands are emerging as the good and bad within the dental health products sector? In this article, I intend to answer these questions and more. There is a lot to be said on this topic and I go into great detail later in this article. However, for those short of time who want the key facts and pieces of information, read over the following bullet points below. Many of the emerging dental health brands originate in China and the far east. The labour markets in this region tend to be less regulated, cheaper and often abused in the interest of producing cheap products. Many products are the same, just resold under different company/brand names. The quality of materials, as well as the overall construction and performance of items, isn’t as good as the major brand names. There is less attention placed on reliability. Not all products are equal, some are certainly better than others – typically those with more UK/Europe/USA presence. Product descriptions and marketing claims can often be misleading or incorrect. Few appear to be clinically tested or independently verified. A cheap or more cost-effective product does not necessarily make it better. Key benefits tend to be the battery life of the product (if applicable) and the number of features. The perceived benefit of additional cleaning modes on toothbrushes is not as beneficial as you might think. 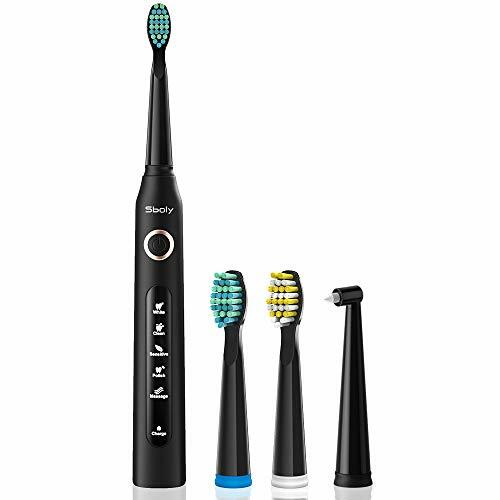 Alarmingly, many brands do not offer replacement brush heads for toothbrushes, over and above those included in the box, making a toothbrush unusable and a waste. The warranty and support are generally inferior. There is no denying some products are particularly good value with benefits over the big brands, if they last as long. As disruptive as these emerging brands can be, with cost being the primary benefit; the savings made are not always realised when you see and understand what the cost of opting for the cheaper product really is. The loser in this scenario tends to be you and I, the consumer, as well as the planet, which suffers from increased pollution. Many products are not tested or verified safe in the way we would hope and expect. Essentials like replacement parts such as brush heads are hard to come by and in many instances none existent. There is a concerning lack of appreciation for the environment. Products can fail and there is a general attitude towards producing inexpensive, throwaway products. In the sections below, we look at various emerging brands. The concerns raised above do not necessarily apply to all of them, but do ring true for many. We therefore provide a bit of background information about each so that you have some insight if you are considering buying one of their products. There are hundreds of new and emerging brands within this sector. I can’t keep track or include them all. 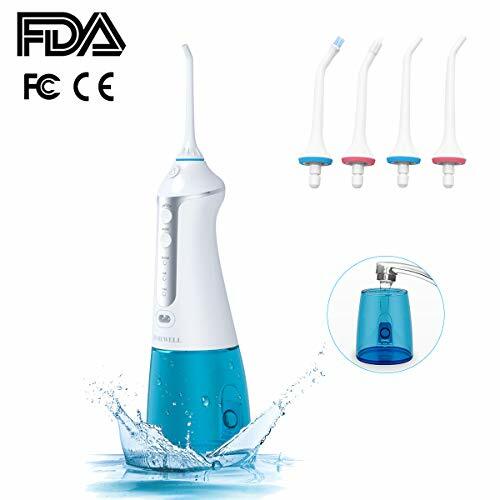 Of particular interest are those companies producing electric toothbrushes, water flossers and other electrical related dental healthcare products. The following list is some of those that I have encountered most frequently with a brief explanation of that company, how they operate and what they offer, that I have acquired from completing online research. I also make some passing comments on their product range, notably dental health products. Please note: The ranges and the accessories of the brands are always subject to change and are correct at the time of writing. About the company: Fairywill are a Chinese brand that have grown rapidly and are one of, if not the largest of the emerging brands within this market. The focus primarily on oral healthcare products but appear to be evolving slightly to broaden their range to include more personal care items. Comments: At the time of writing there are about 13 different models of electric toothbrushes that they offer, not including the different colour options. 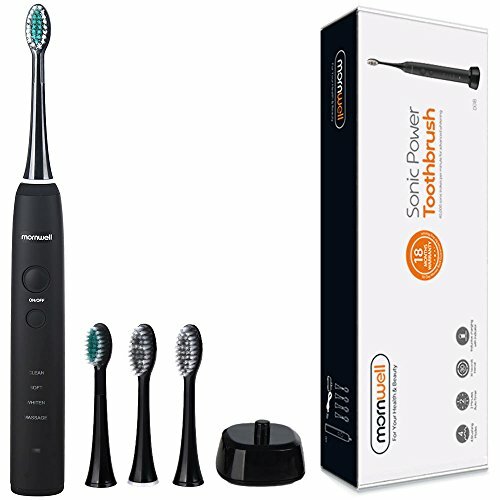 In addition to the toothbrushes they have a newer range of water flossers, 1 cordless and one countertop option. Their range has evolved since first being listed in 2016, with more choice. Replacement/spare brush heads for the toothbrushes are offered, but not for the water flossers, but these have only just been added to the range in 2019. We have reviewed the Fairywill FW-917 here. About the company: Established in 2003, Nigbo Seago Electronic Co Ltd are one of the largest Chinese companies offering dental health products around the world. Producing more than 10 million brushes each year, despite their size the remain an emerging brand in the UK, Europe and USA. 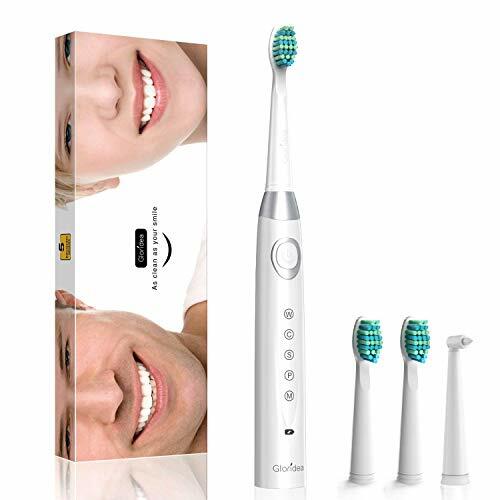 They focus primarily on oral health, but have a range which includes personal care products and LED products also. Comments: At the time of writing there are just 4 different models available for sale in the UK, although a couple do come in different colour options. Compared to the many models and colour variants shown on their website, it is refreshing to see them offering a much more refined range. They have been selling in the west for a few years, but the range has changed since they first started. You appear not to be able to buy direct (unless you are a wholesaler), but the sales pages on websites like Amazon are relatively weak and lack detail in comparison to their own site. Replacement brush heads are made available. We have reviewed the Seago SG-507 here. About the company: A brand managed by Shenzhen Egou Technology Co Ltd, the organisation first began trading in 2012. Their products are primarily personal care electronic products including items such as electric razers and electric toothbrushes, although like many technology companies from China, USB cables, LED lighting and other less personal care related products are included within their range. Comments: Despite being a personal care brand, they offer just 1 model of electric toothbrush in 2 different colour options. Importantly they do offer replacement brush heads to match the choice of white or black coloured brush handle. The sales pages are relatively weak on marketplaces like Amazon, but much more comprehensive on their own website, through which you can buy the products. We have reviewed the SweetLF toothbrush here. About the company: Morpilot is a brand/subsidiary company of Keenstone corporation from Shenzhen, in China. There is a US division based in Silicon Valley with a presence in the UK, Germany, France, Italy, Spain and Japan. 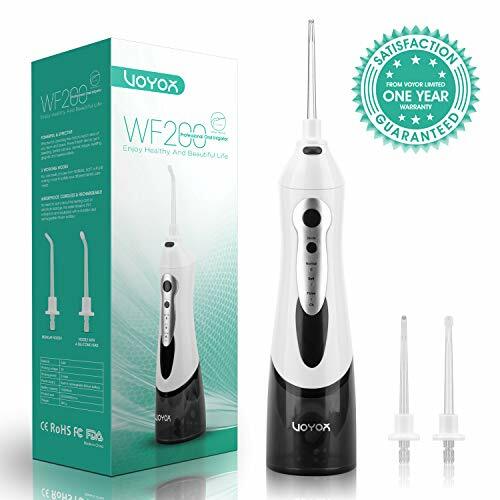 Not really a specialist in dental health with a wide array of products from toasters, to torches to LED light bulbs and even drones and shower heads. Comments: Appear to have 4 different water flossers, 3 cordless and 1 countertop. Replacement tips/nozzles for the cordless units, but not the countertop model. Do even offer a replacement water tank for one of the water flossers. 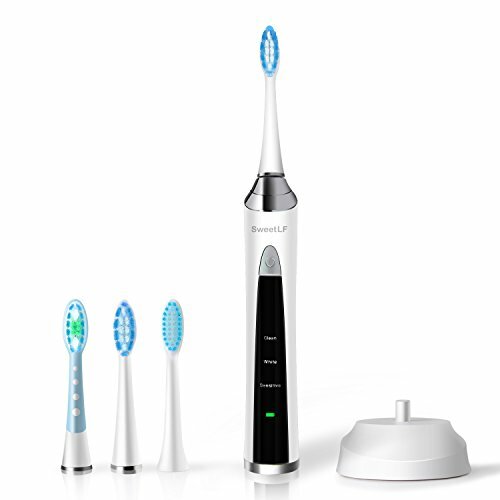 An electric toothbrush is offered with 4 different brushing modes and 4 brush heads in the box. Despite being listed for sale in October 2018, no replacement brush heads appear to be available. Water flossers appear to have been first listed in 2017 and all products have a pretty good product description online. About the company: A UK brand that has been around since 2013 approximately. Made a good name for themselves in producing replacement brush heads for Oral-B and Sonicare. Focused on dental health products primarily. 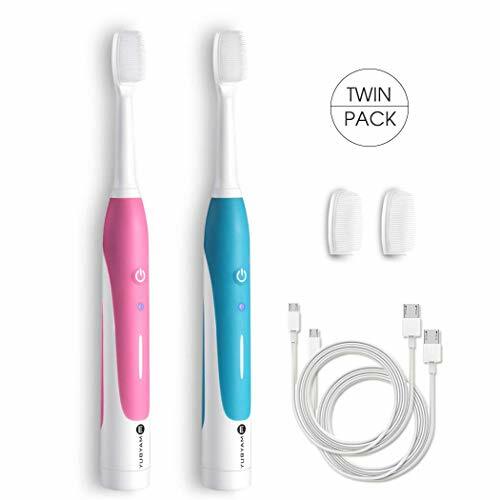 Comments: 1 electric toothbrush in 2 different colours, this is actually a slightly more expensive model compared to the competition, but is generally a sign of the quality and reputation. 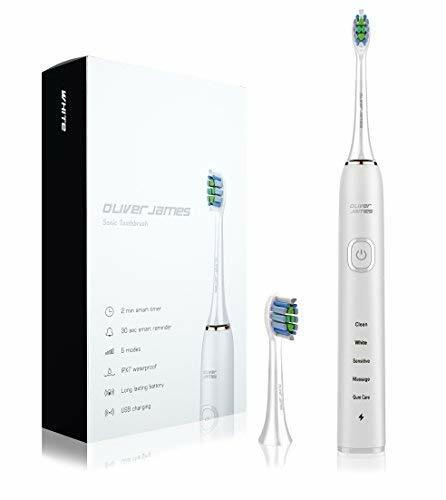 Whilst still a small brand OliverJames has built a reputation for producing excellent value replacement brush heads for Sonicare and Oral-B electric toothbrushes. Their own toothbrush was launched in mid 2018 and there are replacement heads available. 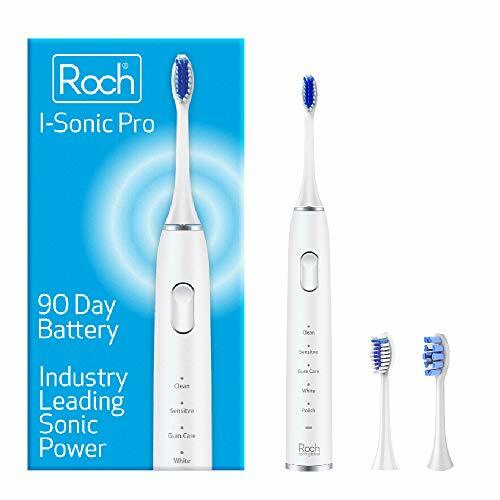 About the company: A UK brand that outsources production to China, Roch specialise in dental health products with an electric toothbrush, replacement brush heads for Oral-B toothbrushes and a universal brush head stand. Focused on a small but quality range of products. 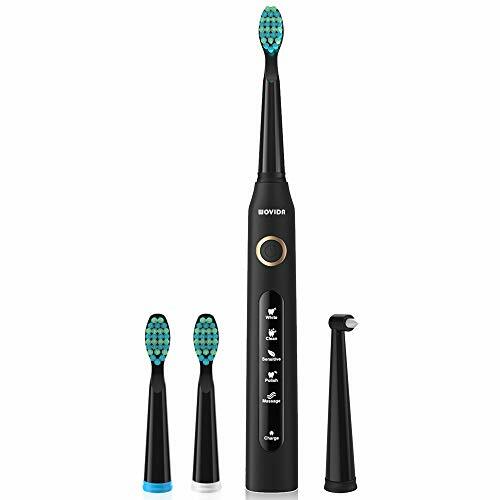 Comments: Very good value toothbrush with excellent battery life, multiple cleaning modes and features. Decent box content given the price. Whilst Oral-B brush heads have been sold since 2018, and the head stand 2017 the toothbrush is a new introduction for 2019. No replacement brush heads are available for the toothbrush yet. About the company: A company specialising in personal care, home and audio products. Appear to have been operating under the iTeknic brand from around about 2013. Comments: Offering both a cordless and countertop water flosser. Actually a pretty good product specification for the price on each of these. 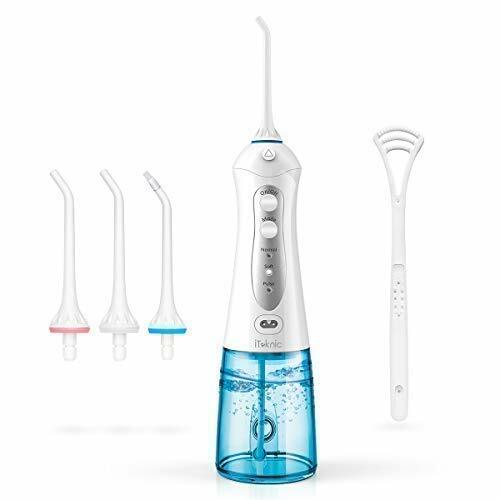 There is also a countertop water flosser with a built-in UV steriliser. What is nice to see is that iTeknic are offering replacement nozzles for both water flossing units too. Began selling in the UK it seems, the latter part of 2018, or so it would seem. Product descriptions online are satisfactory, but a bit weak. About the company: A Chinese company offering personal care products in addition to smart home and other small electronics products including microphones and headphones. Appear to have been selling in the UK since early 2018. Comments: Just 1 cordless water flosser offered. Supplied with 4 jet tips. Fair price and specification for what is offered, but a prime example of a white label product with no obvious option on how and where to source replacement tips. Good description of the product and what it offers. About the company: A Chinese company offering personal care products. Appear to have been selling in the UK at least since early 2018. Comments: Just 1 cordless water flosser offered. 2 nozzles included. Ok specification for the price asked. Nice product description. Not clear how to buy or source replacement parts. About the company: One of the more dentally focused brands with only hair care and facial care products in addition to dental. 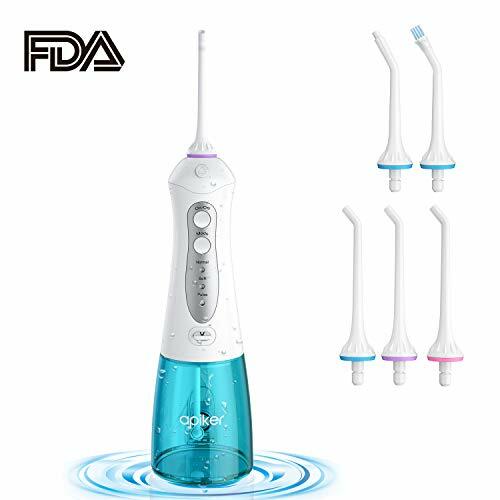 Introduced in 2017 Mornwell is a subsidiary brand of Shenzen based Prooral Health Technology Ltd. Comments: A better example of an emerging brand taking a good approach to its product range. 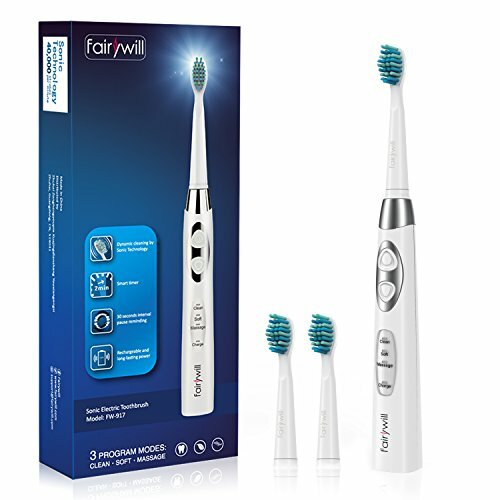 Just 1 cordless water flosser and 1 electric toothbrush, both of which are very cost effective and well packaged. Each is provided with a detailed product page online so you can learn a lot about each product before buying, so there is less surprise when you get the product. Replacement jet tips/nozzles and brush heads are provided too at equally good prices. About the company: A Chinese based company with a broad array of products and from what I can tell with 1 in the dental health space. Comments: Another classic example of a white label product being sold without too much attention to detail. Sales page online is a little weak with a mediocre product description. No clear way to source replacement jet/nozzle tips. Appears to have been sold from late 2018 onwards. About the company: A Chinese based company with a broad array of products as is common. From alarm clocks to mobile phone accessories. Appear to have a USA and UK/European presence. 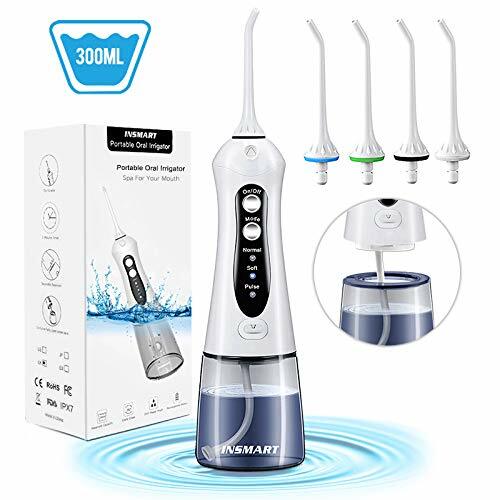 Comments: Offering both a cordless and countertop water flosser with features and prices I would expect of these types of products, from this brand. If anything they are at the lower end of the price scale, even as ‘cheap’ no name brands go. No obvious replacement tips for the cordless option, although a good number are included in the box. Spares are sold for the countertop unit. Both flossers were made available for sale in the early part of 2018. About the company: A newer Chinese based seller that appears to specialise in toothbrushes. Comments: Selling 3 different electric toothbrushes at very competitive prices. Each is reasonably well featured with additional brush heads in the box. Replacement heads only available for 1 of the 3 models, despite being available for sale since the latter part of 2018. Pretty good product description available for each model. About the company: A newer brand from a Chinese firm offering personal care products including an adult and child’s electric toothbrush. Comments: Kids electric toothbrush comes as a dual handle package complete with multiple brush heads. Simplistic but functional design concerned the power of the brush might be a bit much for young children. Not the best product description. The adult brush is very cost effective, but only 1 brush head supplied and no details of where to source more. Information on the brush and what it offers is limited. About the company: Gloridea is a brand from Chinese based Zhuhai Xuechuang Cross-border E-Commerce Co.Ltd. The parent company sells many different products, but the Gloridea brand appears restricted to personal care products. 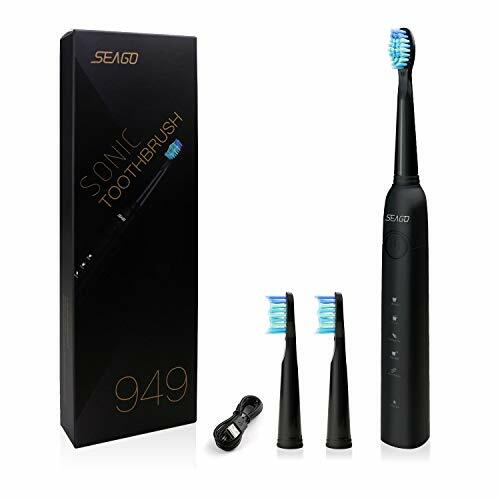 Comments: What appears to be another classic example of white label electric toothbrushes, there are 4 different models available at the time of writing. Replacement brush heads are available too. These first began being sold in late 2018 in the UK it would appear. About the company: A brand of Zhuhai Juyi E-Commerce Co., Ltd, the parent company specialises in a broad range of products, beauty, sports and kitchen tools. They are sold in North and South America, Asia and Europe. Comments: Another example of white label products, looking identical to the aforementioned Gloridea. Competitively priced, with a reasonable feature set. Poorly described or explained online in the sales materials, but replacement brush heads are made available. I could write a summary about many other brands that are emerging, particularly through online marketplaces like Amazon and eBay. When it comes to buying dental health products, be that a tube of toothpaste, a reel of floss or a new electric toothbrush, we have a number of different buying options available to us. Many of us will head online and buy from popular online retailers, whilst others will head into our local town and pick up the things we need from a large high street store or perhaps from our local chemist. You might even choose to buy your dental health products from your dentist. Whatever route you take to purchase such products, you will likely come into contact with companies and brands you are familiar with. This familiarity may come from having used their products previously, from having grown up with their products, you may have seen their marketing or been told about them by your dentist. Familiarity is often associated with the biggest and longest standing brands within the dental industry, names like Philips Sonicare, Oral-B and Colgate. These are brands that have stood the test of time, primarily because they are the product of massive multi-national companies. Recognition and familiarity can often lead us to feel that we can trust and have confidence in the products they produce. It is this familiarity and trust that often leads us to go back over and over again to these same brands, funding their companies further and ensuring they remain leaders within their field. You don’t need me to tell you or demonstrate how these companies can take advantage of consumers like you and me, often putting their corporate aims and financial bottom line ahead of our needs and wants. The scale at which they operate can mean that they can dominate, selling products with very high-profit margins, failing to innovate and really give the consumer the value we desire. Now, I am not saying all the companies within this space operate like that, but we all know they exist. What has amazed me in the years since I founded Electric Teeth is just how volatile the pricing of electric toothbrushes in particular is. A leading brand may begin selling a new toothbrush with a retail price of £200. Within days of its launch it will be sold at £100, an impressive 50% off. However, over the coming months, the price will fluctuate like nothing I have seen before, making it difficult to know what the ‘real’ price of the brush is. This pains me, the fact that unsuspecting consumers (you and I) are buying a toothbrush thinking that it is fairly priced, based on what they see and know, but less than 24 hours later that same brush is being sold in the same store with 50% off. Now to be fair, this happens in a lot of industries, but I don’t think the rate and scale of the variance are often as great in other markets. Savvy business people have seen how the large brands are essentially taking advantage and they know they can offer similar, for less money, but still make a profit. Add to this the increased ease with which new companies can source, produce and market new products and the results are the market leaders are beginning to be challenged by smaller and more dynamic companies. I am all for these new brands and adding a bit of extra competition to the market, it gives you and I as the consumer more choice and the potential to save money too. From my own hands-on experience there are some excellent products that are very comparable to the larger brands. I have and continue to see first hand how companies and products may not always be as good as they seem on the first inspection. The products are not necessarily manufactured and tested to the same exacting standards of some of the better-known brands. Sadly, not all of these smaller and newer companies are created equal. There are some less conscientious sellers out there that are just trying to make a quick buck. Some are taking advantage of cheap labour markets, compromising on quality and support to maintain their margin, but still deliver exceptional value to the consumer. There are too those companies that have genuinely honest intent but are selling into markets they are not familiar with and don’t really sell their product correctly, making dubious claims and comments about their products. Add to this the massive market for white labelled products (one product re-sold by many companies with a different logo and name on the box) and the consequence is a market awash with products all with similar features and prices, making the decision process even more difficult. Whilst the large multinationals might be making big profits and failing to innovate and deliver the diversity of products we might really like, their size and corporate culture, as well as regulation, often mean that there are certain assurances we get from dealing with these brands that make paying a premium or funding the big guy, rather than the small one, a better option. This article is written with the intention of making you aware of who the emerging brands and companies are within the dental health products space whilst highlighting things you need to be aware of. My aim is not to call out any, one brand or seller in particular, nor is it to support the big brands, but I want to highlight to you what you should really consider when buying your next dental healthcare product from one of these newer and emerging dental health care companies. So just what are the benefits and drawbacks to you and I as consumers of these emerging, often China originated products? The initial purchase price for the product and supporting accessories are often much better value than the leading brand alternatives. A solid performing toothbrush can be just £20 compared to the £30-50 of a major brand. A single brush head can cost £1 or less compared to the £3-5 of a major brand. The number of manufacturers and brands gives us more to choose from rather than being stuck with a limited number. The products, particularly toothbrushes tend to have more features for the money. This could be longer battery life or more cleaning modes built in. Often there is a good box contents. Everything you need and not lots of what you don’t. Typically there is more than 1 brush head with a new toothbrush. This can often be very quick and particularly favourable to the consumer. Issue a refund or replacement with virtually no questions asked, as not worth their hassle to repair or deal with support. The claims about what a product can do are not always backed by the evidence. To keep costs down to be able to deliver a good value product, inferior and cheaper materials can be used with less attention and focus on final product quality and reliability. Fit and finish may be a bit more questionable. Fit and finish can look and feel worse. Brush head bristles tend to be rough cut rather than polished/rounded off. Varies considerably from brand to brand. Can be very good or poor. Warranty tends to be 1 year despite leading brands offering 2 and fewer regards for EU regulations on support. Communication can sometimes be in broken English. As these companies can sometimes come and go so to can associated products like replacement brush heads. Added features or benefits are not always as good as they seem. Extra cleaning modes are for example low on the list of worthwhile extra toothbrush features. We all know that China has and continues to play a significant role in fuelling the global economy. Their massive labour market, relatively low costs and fast-paced culture has allowed developed western cultures like the UK, Europe and the USA to take advantage and rapidly produce and sell new products cheaper and faster than ever. Within just a few weeks an idea can be created, produced and sold on shop shelves. China has been particularly influential when it comes to the production of electronic products. There is a very high chance your smartphone, TV and many other electrical products you own were made in China. That includes your electric toothbrushes and water flossers. It is thanks to the economics of China (namely massive and cheap workforce) and other countries in and around Asia that they continue to be an attractive region for brands of any size to have their products produced here. It can be done so quickly and cheaply, allowing for the finished product to be sold at a more competitive price, whilst also offering reasonable profit margins that would not be possible had the products been manufactured in more expensive regions like Europe and the USA. Whilst I cannot give assurances, the larger brands are typically using manufacturers and suppliers that conform to higher welfare and operational standards than others might be. It is not for me to say whether this is a good or bad thing, but the low costs make it easier for new companies to produce products that appear cheap, hence the array of emerging brands within this sector. Culture, particularly within the western world is geared towards wanting, needing and buying new products, a constant need to consume more, even if we don’t necessarily need it. This has, in turn, lead to the rapid expansion of many companies, small and large as well as online marketplaces that feed this ever-increasing cycle of consumerism. Amazon is perhaps the best and biggest example of this, but eBay, Wish and Alibaba are a few other examples. The delivery networks have grown and evolved too. Within 24-48 hours a product manufactured or sold in China can be delivered to your doorstep in the UK, USA or Europe in what is essentially a hassle-free and seamless process. Advances in technology, software and global commerce mean that it is now perfectly possible for you or me to create a new company, in an industry we have no prior knowledge of, to have set up our website, sourced and even sold our first product to a customer within a matter of hours. Whilst all the largest retailers do carry out certain levels of due diligence and have mechanisms in place to protect the consumer, it is still very easy for companies to come and go through these online marketplaces. Large organisations are putting thousands of pounds in each day to grow their businesses, but the ease with which anybody can source and sell products has meant many smaller companies have begun forming, a large proportion of which are based in countries such as China. Take the impact of the Asian economies, add this to the ease with which products can be sold and delivered, then add in the consumeristic culture of the western world and you have the complete interconnected circle. Let’s face it in the western world, we live in a ‘throwaway’ society. I am not going to argue the pros and cons of this, but in generations gone by they would have repaired a product or it would have been made to last. Today it seems, whilst we say we want products to last, few are really used to the end of their usable life. We are encouraged more often than not to upgrade and replace before we even need to. As a result, the reality is many products are not designed to last. Even if they do last, should you want to repair it, the process can be very awkward or in fact, the product is designed in such a way, it simply cannot be repaired. It will often cost more to produce a more reliable and potentially repairable product, but few want to pay the premium price, thus fueling the cheap, lesser quality products that are being offered today. Making matters worse is that many brands are not offering replacement brush heads for electric toothbrushes, thus meaning a user has no option other than to switch to a new toothbrush, once they have exhausted the heads supplied in the box. This is quite concerning as with electronics, in particular, precious metals and natural resources are required. These resources are ultimately limited, but the attitudes many have has meant that these resources are often being abused and companies, big and small are doing all they can to source them as quickly and as cheaply as possible, in order to be able to meet the demand. Long term this is simply not sustainable, but this is a whole different topic! If you are not familiar, white label products are where a particular company designs and manufactures a particular product. It then sells that product to other companies for them to market as their own, when in reality they haven’t actually gone through every step of the production process themselves. What this essentially means is that a technically identical product can be resold many times over by many different companies. There is then only very subtle differences. From the brand name/logo on the product, maybe the product colour or the box contents. This means company A produces the product, but companies B through to Z can actually sell that same product because they are all buying it from company A. However, companies B to Z are adding their own touches and customisation to the product as well as setting their own selling price. It is at this point, the companies are really trying to create their brand and sell you their product based on their reputation, sales material and price. To you and me as the buyers, at first glance products B to Z seem different and like we have lots of choices, but in reality, there is very little difference between them and the choice is not as great as it seems. Having multiple sellers of the same product is not a new thing and exists in all industries and allows for a competitive marketplace. 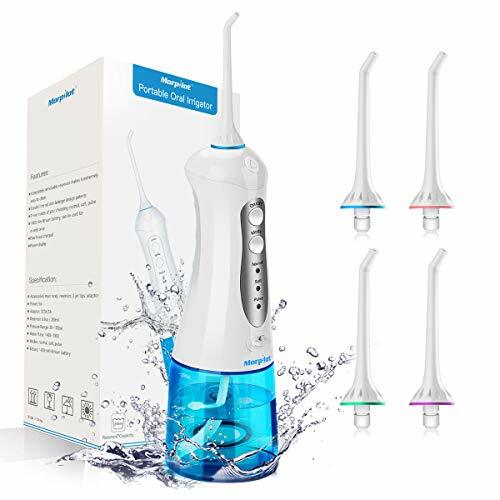 For example, you can buy the Oral-B Pro 2 2500 from Amazon, Tesco, Sainsbury’s, Argos, Morrisons, Boots, Superdrug and many other more retailers. With large brands there tends to be tighter control of who can sell a product and how it is sold. Whilst they cannot dictate, there are some regulations and controls put in place by the manufacturer to ensure their products are generally sold in a way they agree with. When it comes to these newer and emerging brands, particularly those that are sourced from China and sold exclusively through online marketplaces, there is less control and regulation of the sale process. What this means is that if you were to look for a particular brand or model, you may be presented with multiple listings with differing descriptions and prices for what is the same product. To you and I as the consumer, it is not always clear if we are actually buying from the manufacturer’s official sales account or from a third party etc. This is not necessarily the fault of the manufacturer or the platform through which it is being sold, it is just how it is as a result of the channels through which products are distributed. On the whole availability of the products tend to be very good. Many brands will ensure there is a stock of their product within regional warehouses/distribution centres to ensure swift and timely delivery. However, at times demand and planning complications can mean products go out of stock for longer periods of time than you might expect. A major issue I have seen and continues to be an issue is the availability of spare or replacement parts, notably, brush heads. I have seen companies launch a toothbrush but have no replacement heads available for months. In some instances, they have never arrived, making the original toothbrush a bit of a waste, forcing the replacement/upgrade adding to the waste problem. In fairness, many offer 2 or 3 heads in the box at a time of purchase, but these can soon be used if they are lost, broken, worn out or the brush is used in a family setup. It can be worth ensuring and maybe even buying replacement brush heads or nozzles for water flossers at the time you buy the product. You will have all heard the adverts that say things like ‘removes 100% more plaque’ and ‘the number 1 dentist recommended brand’. These claims are commonplace when it comes to marketing and trying to sell a product. It is things like this that often sway our decision-making process and give us the confidence to buy. In most countries, you cannot make such claims unless they are genuinely valid and accurate. If you make claims that cannot be supported by the data then usually the company is in breach of advertising standards agency rulings. These claims, of what a product can do or offers, are applied to products produced by the largest through to the smallest out there. You need to potentially be a bit vigilant when believing all that you see and hear. It is very easy for claims like this to be made, and in fact you might be surprised on just how small the dataset is for some of these very bold claim, albeit strictly true and legally accurate. You might expect that companies survey thousands of people to get the results. Often the sample size is small, 100 people or less. However, the claims can actually be backed up by data and the companies have to make this data available to us. Unfortunately, with some of these new and emerging brands, there are claims that cannot always be backed up with hard data, from what I can tell at least! The claim is there because they can and nobody questions them or the regulations are such it is hard to police such claims that might not be entirely accurate. At the time of writing this article, one company is claiming their toothbrush 50% lighter than another brand, but no mention of who that brand is for you to make comparison to. Many suggest that by using their products you will have a brighter smile. I have seen product descriptions that include a 2 x whiter smile in 2 weeks. Whilst a toothbrush removes stains that dull the colour of your smile, this claim is not technically applicable for all, because some may have no dulling of their natural tooth colour, so the teeth cannot get any whiter by using a toothbrush. Some companies will list out that their products are FDA (US Food and Drug Administration), FCC (Declaration of Conformity), CE and RoHS (Restriction of Hazardous Substances) certified, but do you or others actually check this? I am just as guilty for taking this at face value in many instances as you might be. Many will say ‘dentist approved’ or use words such as ‘as seen in’ followed by logos of major publications. I am not saying that any of these companies intentionally mislead or use claims to sell their products, but there are times I question whether this information is correct, particularly when there is no link to the source on the sales page or website and I know first hand that it is possible to pay for dentists to endorse products and get placement within publications. Whilst dentist approved might strictly be correct, is it right that the dentist gets paid to say they back a product?! Another consideration is reviews of products. Amazon, in particular, does a good job of collecting and presenting user-generated reviews to buyers and sellers on their platform. They also do the best job they can to ensure the reviews are not manipulated. When they are, the accounts of users and sellers are often suspended. However, despite the best efforts of Amazon and similar platforms, sadly the review process is often abused by companies. I personally have been contacted many times asking for me to give a new dental health brand a 5 star review on Amazon. The company contacts me on my personal email address or through the Electric Teeth website. They ask me to buy and review the product on Amazon so that the review is shown as a verified purchase. They then offer to refund me in full via services like PayPal, often with a bonus payment. This way I get a free toothbrush and a bit of cash and in exchange, they get glowing review customers will then see. Naturally, I would not do this because it is playing the system. Sadly, however, many brands do this and get artificially high ratings for their products. You need to be aware of this. Take a look at how many reviews the product has. How many of the reviews are 4 or 5 stars compared to 1 or 2 stars? Even the best products will get a negative review from some. Look and see if there is a batch of positive reviews in a short period and how detailed the reviews are. Often a natural and honest review will read better and you get the good and bad points, not just all praise. Again, I am not calling out certain brands and it is perfectly possible for genuine verified purchasers to review and give it a good rating, but in most instances, there are going to be a mix of good and bad reviews. The message here is to be vigilant when buying a product. We would all like to think that the electrical products we buy are safe and never pose any significant risk, particularly electrical products. There are in many countries of the world, the UK included, certain standards that products should legally conform to. However, the reality of the situation is that you cannot always be assured of this. Ensuring products are safe often adds a cost to a product, which affects the sale price and the production cost. When a company wants to create a product as cheaply as possible there may be a desire to cut corners. I am not saying that any company actively does this, the most reputable really would not. However, when so many products are manufactured in China and have gone through several hands before they reach yours how sure can you and I be that they are really as safe as you think? Even those companies that act with the very best intention to be safe can potentially fall victim to dodgy suppliers of components that do not conform to the standards expected. In many countries, there are certain labels and markings that can be applied to products to give us the peace of mind that they are safe. However, those markings are easily faked and sadly many companies have been found to declare something conforms to standards, even when they don’t. One hopes that the largest companies and reputable sellers have mechanisms in place to ensure standards are being met. Unfortunately, though, some are taking advantage. You will have likely heard the stories about those ‘hover boards’ that caught fire due to the poor standard of construction and electrical cabling implementation, with little regard for the user’s safety. to track down dangerous or dodgy sellers is very difficult, particularly when some countries do not even at a national level operate by the same standards and rules we do in the west. To compound the problem there are limited ways that this can be policed. There is only so much you and I can do as consumers. There is only so much the platforms like Amazon and eBay can do to control it and there are limits also on the way governing bodies and organisations can act to help. These concerns of safety and standards extend to the other parts of the product. We all hope that the brush head on the toothbrush will remain functional and safe for 3 months of use. How do we know however that they will? Is the seal around the electronics and charging connector really sufficient and suitable to survive daily use and exposure to water? Will compromising on materials, fit and finish as well as quality control help reduce the price and increase the product margins? I have seen first hand how the seals on ports and controls are perhaps not as good, the fit not as flush and the plastics used cheaper, thinner and more brittle. The major toothbrush brands will actually round the end of the bristles on the brush head. This is so the bristle is softer and not sharp, which is common when the bristles are cut. Taking this step ads cost and complexity to the production process. Many of the ‘cheaper’ brush heads do not have this safe rounding off to the end of each bristle on the brush head. Something that I have yet to see is if any of these lesser-known brands get clinical/medical approval. What I mean by this, brands like Oral-B, Sonicare, Colgate, Waterpik and TePe are tested by dental and medical professionals in clinical studies and controlled processes to actually verify how good a product is or not. It is clinical studies that determine whether one product is really better than another and if it can remove as much plaque as the manufacturer may suggest. Whilst the results are still open to creative interpretation and the study may have even been financed by the brand, at least there is some clinical testing going on. I have not seen this sort of thing happen with many of the lesser-known brands. This again does not mean they are bad, but if you know Oral-B or Sonicare have clinically tested their products, you will likely be more confident that they can do the job they say they can. In the interest of fairness and transparency, I must say I have not experienced any major concerns or had a particularly bad experience with products I have used from these lesser known brands and companies. On the whole, they have been very good. However, what is clear that the standards are different from those from big brands like Oral-B, Sonicare and Colgate and it is clear that the risk does exist and is likely greater than when purchasing from a more recognised brand. Thankfully to date, I have not had to make use of the warranty and support services of any of these lesser-known brands, as a result of my products failing. However, I have been in contact with some brands, posing as a normal consumer, and sadly, it does not always fill me with happiness and satisfaction. In many instances, the support process can be clunky and far from seamless. This does vary from one brand to another. Some have an easily accessible support email addresses or contact forms or even a dedicated support page, whilst many do not. Even searching the web for the company can turn up very few results and rather than going to the manufacturer’s website, you have to get in contact with them through the retailer you used to buy the product. Few companies actually have a telephone number you can call and speak to someone. Replies can be quick, but often they take a few days. The language used can often be different and confusing, more often than not because of language barriers. I have no issues dealing with a Chinese company, but if that company is selling in the UK, it is kind of fair to assume and hope that they can support the English speaking country. I have found that the representatives may have a low level of English knowledge or very broken English where you kind of have to read between the lines and be a little imaginative with understanding what they are saying. This will be tolerated by some more than others. With large organisations, generally speaking, they have regional contact centres and high standards of communication, with a clearly defined process. Although the support may be far from ideal, in these instances I have seen many reports of excellent customer service. Should a product fail, you are often told to dispose of the faulty one and a new one is shipped out to you. Even when you are not satisfied and you would like a refund, I have seen that many are told to keep it and a refund is still issued nonetheless, as it is simply not worth it for the seller to have it returned. As good as this might be, it fuels the throwaway society and wastefulness in my opinion. It is also very possible, that the original seller of the product may no longer be trading, has changed their name or contact details and contacting them is essentially impossible. This is particularly the case with sellers of white label products or those smaller resellers. Many sellers (particularly those operating cross border) do get kicked off of online sales platforms for not conforming to the correct policies etc. Despite what claims they may have made before selling the product, you are unable to take them up on it and it is you who is left out of pocket. Conclusion – should you buy dental health products from emerging brands? Buying a dental health product from a far eastern, new or unknown brand is not wrong, doing so often brings you benefits, notably a cheaper price tag. The risk to you and your dental health is not massive, but it is something to be concerned about, as is the potential impact on the planet. Different manufacturers and countries have different standards and approaches to manufacturing, support and customer service. If you want the tried tested and often medically approved, sticking with those household brands is often best. If you want to score a bit more of a deal and direct the profit to the smaller companies, then the new and emerging brands are worth consideration, just be aware of the pros and cons.